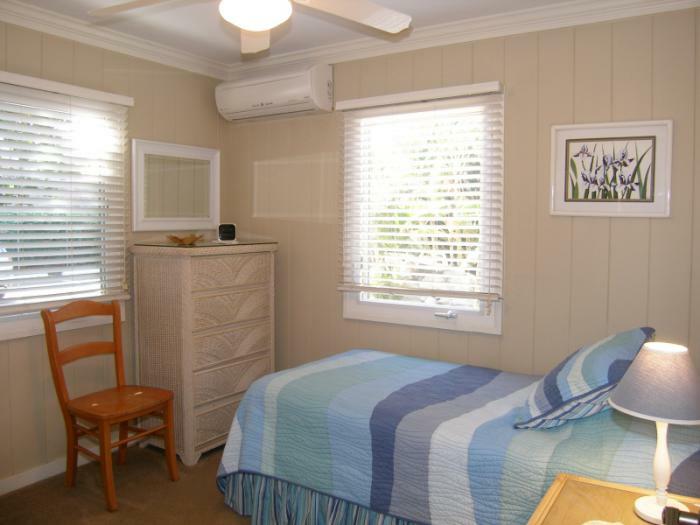 4 bedroom, two bathroom, oceanfront cottage, sleeps 7, one rental group at a time. Relax in this charming 2 story house or under the palm trees. Enjoy the surf or nearby swimming beach. Minutes away from world famous Hookipa Beach Park. Downstairs there is a bedroom with a queen bed and another with a single twin bed. Upstairs there is a bedroom with a king bed and another with a queen bed. There is also a queen-size sleeper sofa upstairs. Off-street parking, 2 lanai/decks, indoor and outdoor washers and dryers, 2 TVs, 2 DVDs, CD player, 2 refrigerators, a hotplate downstairs, a stove with oven upstairs, gas grill, Wifi, A/C, ceiling fans.